In the age of the internet and mobile devices, when there is a need to look up the meaning of a word in a foreign language the average person is likely to use a cell phone, tablet, or desktop computer. For Japanese language specifically, the free mobile dictionary apps I have tried are pretty mediocre, so for my daily studies I usually just use http://dictionary.goo.ne.jp/. A site like this provides a wealth of information for linguistic knowledge seekers, free of charge, and functionality-wise there is very little lacking. For words that are not present, doing a quick Google search usually resolves the problem in seconds. For those who still prefer the feel of paper and physical books, you always have the option of getting a dictionary. But in order to have any level of comprehensiveness you’ll need quite a bit of weight and size. There’s one more option you may not be familiar with: a portable digital dictionary which is designed to go between your native language and a foreign language of choice, in my case English <=> Japanese. I purchased the Casio Ex-Word XD-6500 at Yodobashi Camera in Akihabara on a recent trip to Japan for around 20,000 Yen, roughly $170 with current exchange rates. In fact I have been using an earlier model from the same company for some time now, at least eight years, with many of the same features except for the convenient touch screen which wasn’t on the older model. With all my array of gadgets, this is one of the only products I’ve bought a new model of even though the old one hadn’t broken. The other is our Roomba robot vacuum cleaner. The Ex-Word has all the basic features you would expect, like the ability to see Japanese words’ definitions in English and vice-versa, plus Japanese definitions of Japanese words (often challenging to understand but good practice). There are a few reasons I prefer using my Ex-Word over using a laptop or mobile device when doing quick word lookups when reading a Japanese novel. Foremost, it allows me to just focus on what I am doing with no distractions about getting lost researching random things on the net, or checking my email. Another is that typing on the larger keyboard is much easier than typing on on my smartphone, and my laptop is too heavy to lug around just to look up words. For the models I’ve used there is a slightly annoying responsiveness to the keyboard whereby if I type too fast it will loose characters, but you can get used to that. The battery life is also great and can last several months (or longer) on a single pair of AAs. This, plus the relatively small weight (around a pound) make this a great traveling companion on long flights. When you are not using it, both the screen and keyboard are protected by a pretty sturdy cover which is built into the device. I could go on about the various reference sources contained within it (including dictionaries and encyclopedias), but this isn’t a great selling point compared to the nearly infinite knowledge on the internet. Actually, if you account for the fact that all of these can be accessed without internet it’s a pretty nice bonus. 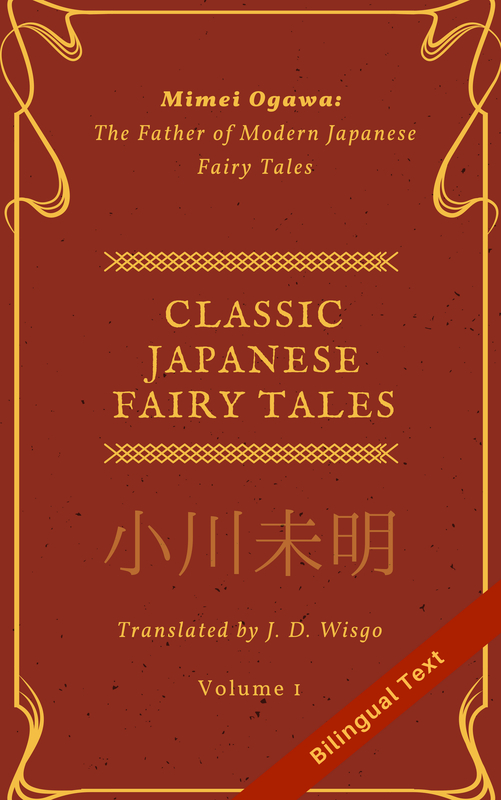 For example, one thousand items of classic Japanese literature are all included, which are a good way to deeper your knowledge of Japanese language and culture. One of the nice things about this product (which is hard to get your hands on even if you have an internet connection) is the ability to pronounce Japanese words using a speaker or headphones, plus a visual display of the one or more pitch accent patterns. I haven’t been able to find anything free like this on the internet, though Dictionary Goo used to show similar accent marks until they removed them sometime back. For those trying to get their speech as close to natural Japanese as possible, this is an important tool which I use myself. I am not sure if it possible to read back arbitrary sentences, but there is a guidebook of travel phrases which includes recordings of the Japanese ones. Not surprisingly, since these devices are made by a Japanese company there are other features which are biased towards Japanese people learning English, like video tutorials which are built into some of the more expensive models. Nowadays there are many methods to look up unfamiliar Kanji including radical lookup and some apps which even claim to do recognition using the camera (I haven’t tried these and doubt they are very accurate). One nice feature of many of these digital dictionaries is you can write Kanji with your finger (or am included stylus) and have it recognized to determine it’s meaning and reading(s). Ironically, this is one of the few times I actually need to write Kanji so I am glad I learned some of the basic stroke orders. The dark side of this is that if you don’t write the character like a Japanese person would then it may have a hard time comprehending what you are trying to write, which can result to throwing up your hands in frustration. One other annoying thing about this dictionary is I haven’t figured out how to look up a word using two Kanji contained in other words I know. For example if I know the characters for 雷 (kaminari, lightning) and 雨 (ame, rain), and I want to lookup the pronunciation for 雷雨 (which happens to be raiu), using a computer I use cut and paste to figure this out. There is a feature which allows jumping from a Kanji within a word to a specific page on just that character and sometimes this helps. I am not sure if it is easy to find this exact model (XD-6500) online for import from Japan, but you can information about it on this Japanese retail site (Kakaku.com). Here is a similar model on Yodobashi Camera’s site. You can find a higher level model, XD-B9800, on Amazon here, though it’s much pricier at around $270. If you ever go to Yodobashi Camera in Japan definitely check out the electronic dictionary section, it’s pretty massive with over 40 models, over half of those from Casio alone. Based on what the store clerk told me, many of them have a similar feature set, with some extra features added here and there. If you read a lot of physical media (paper novels, newspapers, and magazines) and find yourself needing to frequently look up words, then I would highly recommend one of these digital dictionaries.